When fielded, choose one opposing Sidekick or character with a purchase cost of 2 or less. If it is at level one, knock it out. Otherwise, spin it down one level. Psylocke: Ninjutsu's ability specifically targets an opposing character with a purchase cost of 2 or less. Psylocke: Betsy Braddock simply says "cost" but likewise means purchase cost, a difference in wording that Wizkids will seek to eliminate in the future. Unless an ability specifically states fielding cost, cost is typically used to indicate purchase cost. 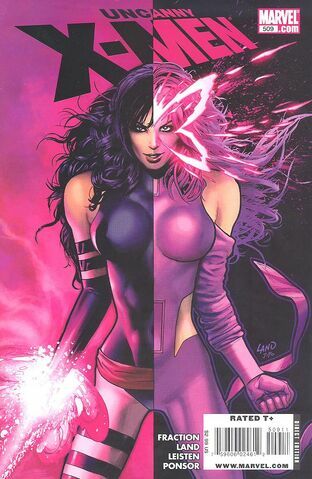 ^ Psylocke, Betsy Braddock , Uncanny Xmen #50 determing cost?. Wizkids Rules Forum. Retrieved 7-20-2015. ^ Uncanny X-Men Vol 1 509 Marvel Database. Retrieved 7-20-2015.